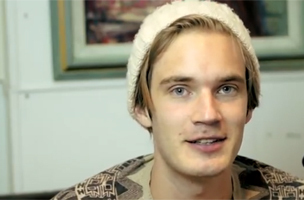 After surpassing 30 million subscribers, YouTube creator PewDiePie announced that he was disabling comments on all future videos. The comment sections on YouTube are constantly under fire, likely because of the prevalence of spam and trolls. Recently, Felix Kjellberg aka PewDiePie, YouTube’s most subscribed-to channel, has decided to disable comments on his videos. Kjellberg recently crossed over 30 million subscribers and released a video explaining that spammers and the general lack of quality comments was the reason for this change. I go to the comments and it’s mainly spam, it’s people self-advertising, it’s people who are trying to provoke — people who reply to all these. Just all this stuff, that to me, it doesn’t mean anything. I don’t care about it, I don’t want to see it… I want to see what you bros have to say, but I don’t see that because it gets blocked out by all these things. It’s been bothering me for so long now. Kjellberg is likely a victim of his own success. Hosting the most popular YouTube channel out there brings the spam, the self-promoters and sometimes the scams. It’s not uncommon at all. His solution has been to use other lines of communication, asking genuine fans to contact him on Twitter or to visit the newly created fan subreddit. Moving your audience away from the YouTube comments section isn’t a particularly novel idea. Educational video maker CGP Grey has been directing his YouTube fans to his subreddit for a long time. Mobile startup Victorious was specifically designed to give YouTube creators greater control over their audiences. These moves, especially by YouTube’s biggest channel, speak to just how useless the YouTube comments section has become. When channels are small, it may be a good way to interact with fans. But when subscriber numbers reach into the hundreds of thousands, YouTube comments become unstructured noise.